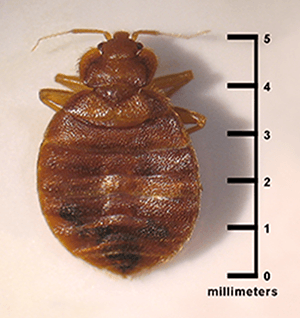 Bed bugs (Cimex lectularius) are small (but terrible) wingless insects that feed on the blood of warm-blooded animals, including humans. While the U.S. Centers for Disease Control and Prevention (CDC) notes that bed bugs aren’t a medical or public health hazard because they don’t spread disease, this doesn’t mean you should take these insects lightly. Nothing is more exasperating than having your good night’s sleep disturbed by bed bugs all over your bed. Bed bugs (Cimex lectularius) are small (but terrible) wingless insects that feed on the blood of warm-blooded animals, including humans. They are usually brown to reddish-brown, and are roughly the size of an apple seed, measuring 5 to 7 millimeters long. Their bodies, when not fed, are flat and oval-shaped, but become balloon-like and more elongated when nourished. Learn more about how bed bugs are affecting the U.S., the best ways to drive them away from your home and prevention techniques that you can practice. According to the 2015 Bugs Without Borders Survey conducted by the National Pest Management Association (NPMA) and the University of Kentucky, an astounding 99.6 percent of pest professionals treated cases of bed bug infestations in 2015 alone. Compared to numbers five to 15 years ago, this amount represents an alarming increase. Meanwhile, Chicago, IL once again led pest control company Orkin’s list of Top 50 Bed Bug Cities for the fourth consecutive year. The basis for this list was the amount of bed bug treatments conducted from January to December 2015. Inspections were also done by the company to check for the presence of bed bugs. Rounding up the top five were Los Angeles, CA, Washington, D.C., New York, NY and Columbus, OH. If your home is infested with bed bugs, don’t fret, as there are effective techniques to eliminate these bugs. Begin by scouting areas in your home for bed bug activity — such as your bed, mattress, linens and box springs. You can also search for signs of bed bugs in sofas and other soft furnishings. Make sure to inspect every nook and cranny, since the bugs instinctively hide in dark cracks and crevices, especially when they are disturbed. 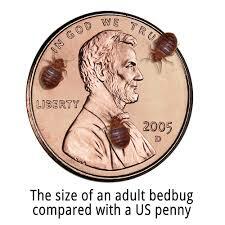 Some bed bugs may also thrive in loose portions of wallpaper near a bed, in desk or dresser corners, in the laundry and other corners of the room. You should also watch out for bed bug eggs, which resemble tiny and pale poppy seeds. Look out for small dark brown or reddish spots too — they are actually bed bug droppings or excrement. If you notice a light brown or black liquid with a coriander-like odor that has a tendency to bead up or be absorbed by the material that surrounds it, then odds are they are actually feces from the insects. Lastly, make it a point to check for signs of bed bugs every seven days, just in case there are eggs that remain. Heat treatment: bed bugs that are exposed to a temperature of 113 degrees Fahrenheit (45 degrees Celsius) for an hour are killed regardless of their stage in life, while a temperature over 140 degrees Fahrenheit (60 degrees Celsius) could kill the insects much quicker. Heat treatment can be applied in a variety of ways. You can wash clothes or linens that are infected with bed bugs or you can place the items in a dryer on a hot setting for 30 minutes. Cold treatment: Exposing bug-infested items to a temperature of 0 degrees Fahrenheit (-18 degrees Celsius) for four days could kill all the bugs and eggs. Smaller items could also be placed inside a freezer at the said temperature for four days as well. However, it’s important that you use a thermometer to check for the temperature, since not all freezers are at 0 degrees Fahrenheit. 1. Cut four pieces of the rough-surfaced tape. The pieces should be at least as high as the wall of the small container. 2. Evenly space and firmly press the four tape pieces vertically on the inside surface of the small container to connect the inner top edge with the container bottom. 3. Wrap the rough-surfaced tape (not the four pieces) around the outside of the larger container. The entire outer surface should be covered from the base to the upper edge of the container. 4. Glue the small container onto the center of the bottom of the large container. 5. Make surfaces smooth to prevent bug escape. 6. Move the piece of furniture that needs to be protected away from walls and other furniture. Place a trap underneath each of its leg. For beds, don’t allow the bedding to touch the floor, walls or other furniture. On a carpeted surface, place a tile square or piece of plywood underneath the trap. This prevents the trap from breaking because of the weight of the furniture. Eliminate clutter found in your home. This could make finding bed bugs easier. When staying at a hotel, check for signs of bed bug infestation. 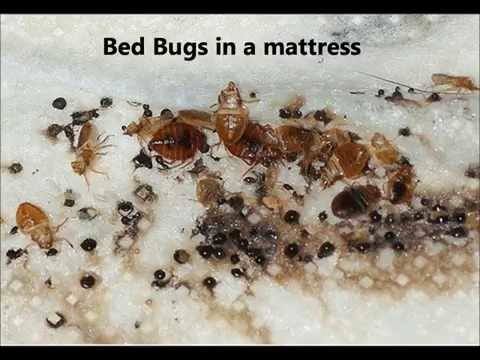 Look for insects in mattress seams and see if there are rust-colored spots on your bedding. After traveling, inspect luggage and clothing meticulously and store them away from your sleeping area. Closely examine second-hand furniture before bringing them inside your home. Thoroughly check your mattress, bed frame, head board and other furniture in your sleeping area from time to time. Clothing packed in luggage should be placed directly into the dryer for around 15 minutes on the highest setting. Inspect your residence frequently, especially after a move-in, trip and/or after you have guests stay over at home or a service worker comes. Refrain from placing your luggage on the bed, on the floor or near electrical outlets, art frames and other possible bed bug hiding places. Instead, place your baggage on luggage racks. Wash and dry bed linens on the hottest temperature setting allowed. While it’s unfortunate that bed bug infestations are still rampant in the U.S., this does not mean that you should stand by helpless and not do anything about it. It’s time to take matters in your hands and work on foiling attacks that are carried out by these insects, so you can get the good night’s sleep and peace of mind that you deserve.